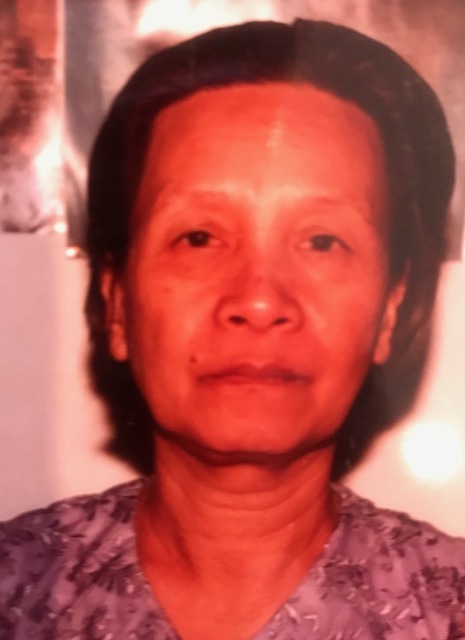 Chhay Y Neang 90, passed away on November 17, 2018 at the Chestnut Woods Rehabilitation and Healthcare Center in Saugus with her son Song by her side. Chhay was born in Kandal, Cambodia on February 6, 1928. She was the loving wife of the late Ly Eang and loving mother of Song Eang of Lynn and Peou Eang and her family of Worcester and the late Seng Hak Eang, Paula Eang and Sai Eang. Funeral services will be held on Friday November 30 at 4:00 PM in the Cambodian Temple 110 Chestnut St. Lynn and will continue until Saturday morning at 9:00 AM. Burial will follow in Woodlawn Cemetery Elm Street Everett.